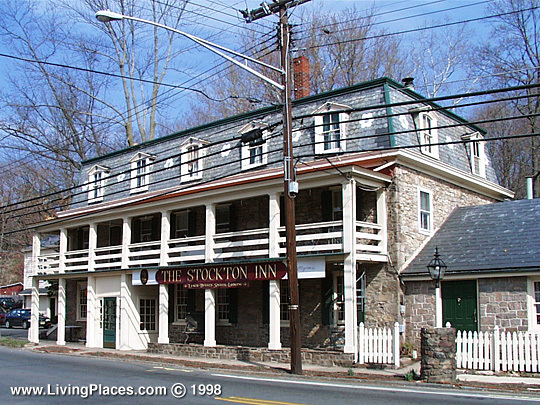 Stockton Borough Hall is located at 2 South Main Street, Stockton NJ 08559; phone: 609-397-0070. Stockton Boro is home to the National Register Prallsville Historic District. As early as 1702 John Reading owned and operated mills here. Located on the Delaware River, it is named for John Prall who settled here in 1792. In 1834 the hamlet was made up of a grist mill, store, tavern, and some 6 to 8 houses.